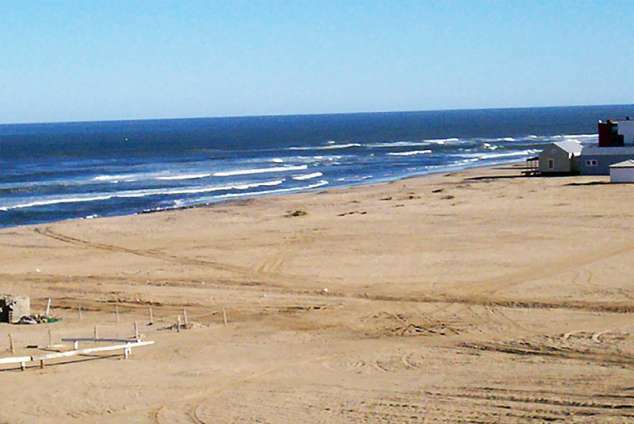 Shallow Water Inn Self Catering - Swakopmund Accommodation. Our Self Catering units are like new, two story, luxury, one bedroom, 2 DSTVs per unit, lock-up garage, private braai area for each unit, private remote controlled entrance, in desirable location, 150m from the beach and six km from the town centre of Swakopmund. These units are at the door step of fishing too! Both units have double beds in the upstairs bedrooms with on-suite bathrooms. Ground floor lounge has comfortable sleeper couch, spacious kitchen and extra toilet. The atmosphere is relaxed, very secure and are tastefully furnished with luxury genuine leather furniture. One of the units has sea views of the ocean (between buildings) from the bedroom and lounge with the only noise being that of never stopping rolling waves. 30079 page views since 10 Jul, 2009. Last updated on 22 Jan, 2019.